Assam: Vested interests may misuse NRC ‘objection form’? The National Register of Citizens (NRC), final draft of which was published on July 30, 2018, is giving many a sleepless night. If deletion of 40 lakh people from the final draft NRC in Assam made a hue and cry all over the country, which even rocked Parliament, the claims and objection forms which have been made available for the public since Monday, might pose more worries, believe many, who have studied the nitty-gritty of the same. 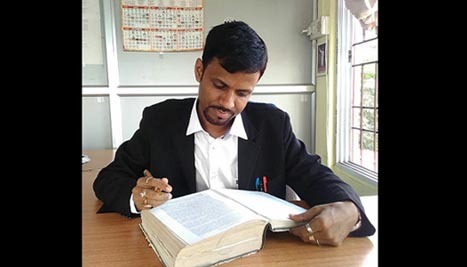 “Misuse of forms, especially for the objections, is doing most of the rounds among various circles,” Advocate Dharmananda Deb of Silchar under Cachar district of Assam, told Northeast Now. For an understanding of the situation, a layman has to first understand the legal tangles attached to it. The Citizenship Act, 1955 clearly mentions in Section 17 the ‘offences’ pertaining to, if someone, knowingly makes a representation which is false, is liable for punishment. However, the same Act gave provisions of power to make Rules in Section 18. The Section 18 led to the framing of the Citizenship (Registration of Citizens and Issue of National Identity Cards) Rules, 2003. Under this new set of statutes, Rule 4A advocates for special provisions as to National Register of Indian Citizens in the State of Assam. It clearly states, electoral rolls up to the midnight of March 24, 1971 would be the cut off, but, the manner of preparation of NRC in Assam shall be specified in the schedule appended to these rules. Now, Rule 17 of this new statute mentions, any violation of provisions of Rules 5, 7, 8, 10, 11, and 14 shall be punishable with fine, but, Rule 9 which deals with ‘claims and objections’ has been left out from its ambit, in order to keep it away from penal provisions. Up till now, everything seems fine, and has been widely lauded by many intellectuals and those who are opposing the NRC update process, if any, are not letting it out vocally as of now. To keep any applicant, who files an objection to remain safe from any punishment can be understood. Almost everyone is welcoming this move as far as legal ramifications are concerned, but, “unbinding the hands of an ‘objector’ can lead to its misuse is another factor that needs to be looked after with scrutiny”, said advocate Deb expressing his concerns. The Deputy Secretary to the Government of India, Ministry of Home Affairs submitted an affidavit on August 13 last before the Supreme Court enclosing the modalities or Standard Operating Procedures (SOPs) for claims and objections for 40 lakh people, who do not figure in the list. The SOP for objection in this affidavit says, any person can make an objection giving grounds for objection in the form specified and file documents, “if any”, in support of his objection. According to this draft SOP, there is no requirement of the ‘objector’ to be a local resident where the NRC Seva Kendra (NSK) is located. Also there is no restriction on the person for filing any number of objections as disposal of all of these will be done through holding of hearings. Dharmananda Deb though advocates that a foreigner should not go scot-free and such objections should be filed, but not at the cost of any harassment on any genuine Indian citizen.